By this useful Article I guide you that how to solve Boot Repair in Ubuntu 16.04, or Linux Mint 18 (Sarah) or other latest Linux versions. Further I say that anyone who are using any Linux version along with Windows, so how start both versions such as Windows, or Linux. Lot of Peoples want to Install any Linux version along with Windows and in the starting they have Boot Problems with both Linux and Windows Basis systems. You have already read lot of tutorials but this is good than the others. So Linux is very popular in these days in all over the world and also it has been given a facility to boot repair and run both systems on your Computer. In my experience during the installation system found some errors and did not go to boot in starting so solve boot problems in Ubuntu 16.04 or Linux Mint 18 (Sarah) or another Latest Linux versions. Now use the following commands in terminal and make boot repair solutions for both systems Windows and Linux. 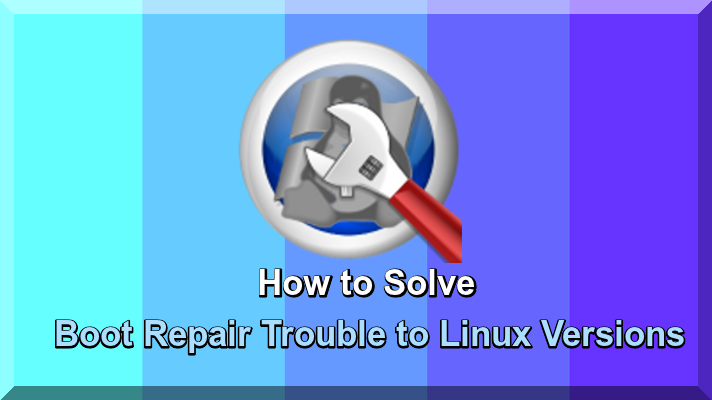 Now follow the picture has given below and click on Recommended repair, after that it will take some time all boot repair problems of Linux and Windows Basis systems will be solved. Finally restart your computer and you will find boot repair of both systems Linux and Windows, finally decide that what is you option. You can like also other Linux tutorials.